If you are looing for a portable power source to help keep your gadgets juiced up whilst away from the grid, you might be interested in the new AViiQ Portable Battery Pack, which comes equipped with a 5200 mAh rechargeable battery. 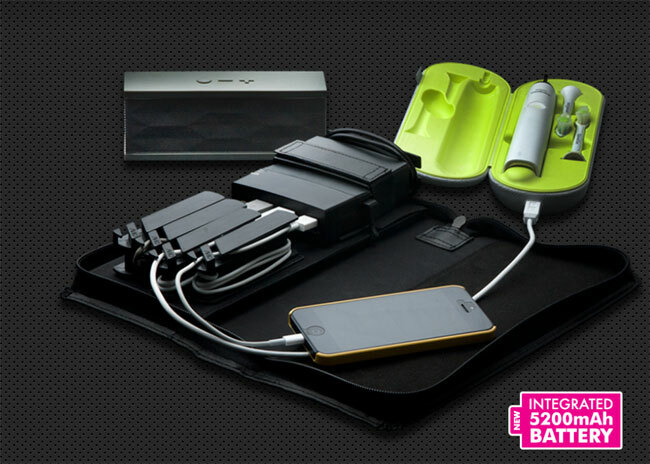 The AViiQ Portable Battery Pack comes with a 4 port USB hub and a cable management rack to help keep all your cable in some sort of order and everything can be protected within the supplied portable zipper case. For more information jump over to the AViiQ website, where the AViiQ portable battery pack is now available to purchase for $170.